The biggest game of the week is undoubtedly Liverpool v. Chelsea. 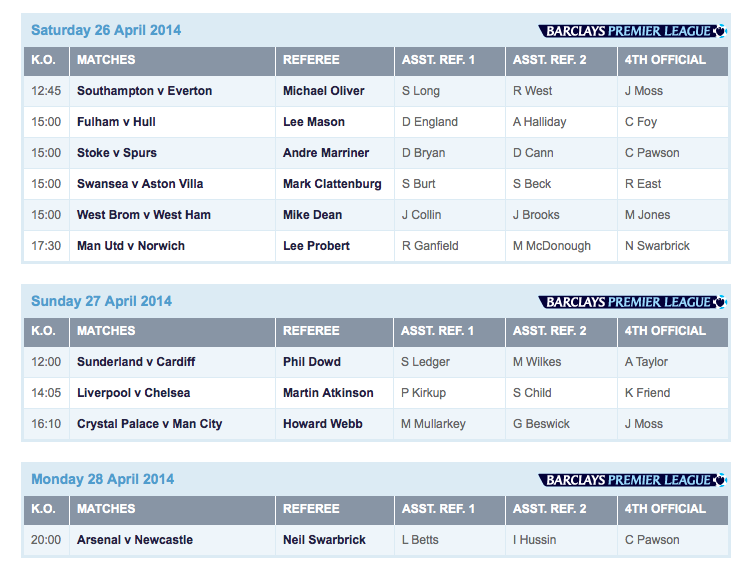 Martin Atkinson (above) is up in the rotation for that one. Hopefully, foaming madman assistant coach Rui Faria will be suspended by then, so Atkinson doesn’t have to hire a bodyguard. Chris Foy, who took a Jonjo Shelvey deflection in the face last weekend, will be fourth official at Fulham v. Hull City, but will not officiate a match of his own.